The nineteenth century, for Maremma, is the darkest period of its history. During this century took life the brigandage phenomenon. In that periode, criminals went to live in the mediterranen bush. Impenetrabile and rich in many gorges and caves, the maremmanisch mediterranean bush provided a dense network of hiding places ideal for anyone who wanted to evade the police. In fact, for an entire century, many brigands were able to perpetrate unpunished robbery, extortion and murder. Some of them created a kind of taxes for landowners and owners of the proceeds; in small part, they were used to provide food to poorest people in return of ensured protection and coverage to the brigands. The best known of brigands were Fumetta, Bustrenga, Marintacca, Biscarini, Pastorini, Basilietto, Biagini, Bettinelli, Fioravanti and Tiburzi. The most famous of all was Domenico Tiburzi who, from 1872 to 1896, imposed its law in the territories of the north of Lazio and south of Tuscany. Born in Cellere May 28 1836, Tiburzi went to the bush in 1867 when, in the evening of October 24, killed Angelo Bono, guilty of having fined for theft of a bundle of grass in the estate of the Marchese Guglielmi, where he held the job of guardian. After just two years of absconding , he was arrested and resulted in a Tarquinia prison where escaped in 1872. 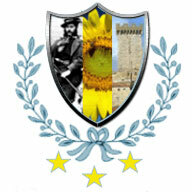 Since that day and until the day of his death, occurred at the hands of Capalbio and Marsiliana Policy, October 24 1896, Tiburzi became the undisputed King of the Maremma, enjoying the protection of local residents. The Legend tells that he stole from the rich to give to the poor. He imposed, in fact, a real taxation of landowners and gentlemen, using the proceeds to donate supplies to poor families in exchange of receiving protection and coverage. Fot these reasons the name of Tiburzi entered the history of the Maremma becoming Legend. Park designed by Niki de Saint Phalle (1930 – 2002) is the representation of 22 Major Arcana statues in reinforced concrete covered in colorful mosaic as high as 15 meters. Immersed in an olive grove it is visited by hundreds of thousands of tourists from around the world. Populated by a multitude of wild animals, rare birds and herds of Maremma horses and Maremma cattle grazing in the wild, the Parco dell’Uccellina is considered the emblem of Maremma. Crossed by many trails that reach the sea, it can be visited by mountain bike, riding, canoeing and trekking. Privileged destination to many species of migratory birds, the lake is located a few metres from the sea from which it is separated by a narrow strip of Mediterranean dunes. It is certainly one of the most beautiful small towns of the hill of Maremma. Sovana, in the past a Pontifical residence, is considered the pearl of Maremma. Once entered in the historic centre you will find yourself in the middle ages. Shops antiques and leather bindings give visitors the chance to buy unique and valuable items. You can also visit the church and the Tomb Ildebranda. Saturnia, a famous health resort, is a forced stop for those who care of their welfare. We recommend a night swimming in the highest thermal waterfalls in Europe. Sorano, a small medieval village, houses the Fortress Orsini where expert guides will take you on a fascinating journey underground. Pitigliano, certainly the most beautiful of the Maremma, houses the synagogue and the Palazzo Orsini. Among its streets you can visit many private cellars, dug with a pick hiked into the mountains of tuff for several hundred meters where they keep a constant temperature of 12 degrees fine wines. Do not miss the amazing show of the country aqueduct lit up. Destination tourism elite for half a century, the Monte Argentario, is rich in spectacular coves where its clear waters show its beautiful backdrops. To visit Porto Ercole, Porto Santo Stefano, the scenic road and the beautiful Spanish fortifications. Approximately 17 km off dell’Argentario lies the island of Giglio where a rich vegetation is married with exceptional rich backdrops of numerous wrecks. Giannutri, also called the island of seagulls offers rich seabed unique scenarios cavernosum formed by limestone cliffs inhabited by countless varieties of fish. To note the Roman villa of 1 st century b.C. Classificated the 1° place in Italy in 2007 for the quality of marine waters and for tourist services offered, have received the 5 sails blue Legambiente. Capalbio stands in the middle of an extraordinary mediterranean vegetation that offers unique colors and scents. It has an enchanting view of the Lake Burano and Costa D’Argento, within its perfectly preserved medieval walls, you can visit the castle that houses the Piano Forte by Giacomo Puccini and the church of St. Nicholas, rich of fourteenth-century frescoes of the Renaissance. Outside the walls, however, do not lose the Oratory of Providence, where is conserved a fresco attributed to Pinturicchio. Inhabited by the Etruscans from the seventh century BC ,the coastline of Maremma is rich in archaeological sites such as Tarquinia, Vulci, Cosa and Talamone. For fans, is the opportunity to admire exceptional items and beautiful cemetery overlooking the sea.